Osteoarthritis is the most common form of arthritis, affecting around 12% of Irish people. It mostly affects cartilage of the joints and the most common areas affected are the hips, knees, hands and spine. Read more here. Until recently, researchers and physicians believed that all osteoarthritis pain was caused by wear and tear to the cartilage and bone. But many recent studies cast doubt on this old idea. Researches now believe that a small number of factors combine to cause osteoarthritis pain. These include how we move, holding excess tension in our body. 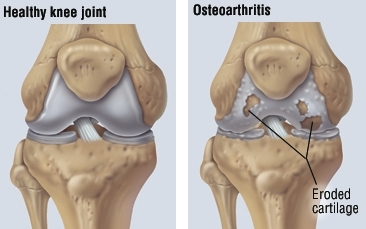 For example, there is much evidence that excess muscular tension in the legs can cause osteoarthritis knee pain. Another factor is how we react to pain. When we expect pain, we tighten up in anticipation of hurting ourselves, and this change in our behaviour causes our pain levels to increase. I help relieve osteoarthritis pain by addressing all of the above contributing factors. To do this I use Alexander Technique. In a recent clinical study, Alexander Technique lessons offered very significant pain relief from knee pain caused by osteoarthritis. In the trial, subjects who suffered from knee osteoarthritis were given Alexander Technique lessons. 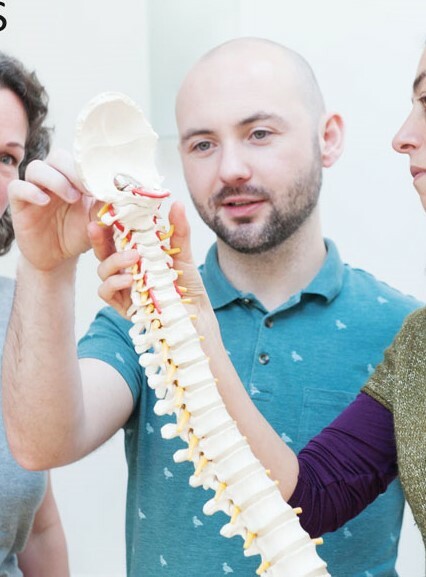 After completing their lessons, not only did they relieve 56% of their pain on average, they also showed significantly reduced “co-contraction” in their legs while walking. In other words, their walking became easier. The subjects also reported a reduction of other aches and pains in their bodies, like back and neck pain. And to top it off, when researchers conducted a follow-up exam 15 months later, these subjects continued to benefit. The Alexander Technique is a method for neuromuscular re-education. It teaches you how to improve posture, reduce excess muscle tension and improve coordination. Lessons teach you to help identify, understand, and prevent poor habits. This helps you to reduce pain and tension in your body, move better and feel better. This entry was posted in osteoarthritis and tagged osteoarthritis on October 21, 2016 by admin.